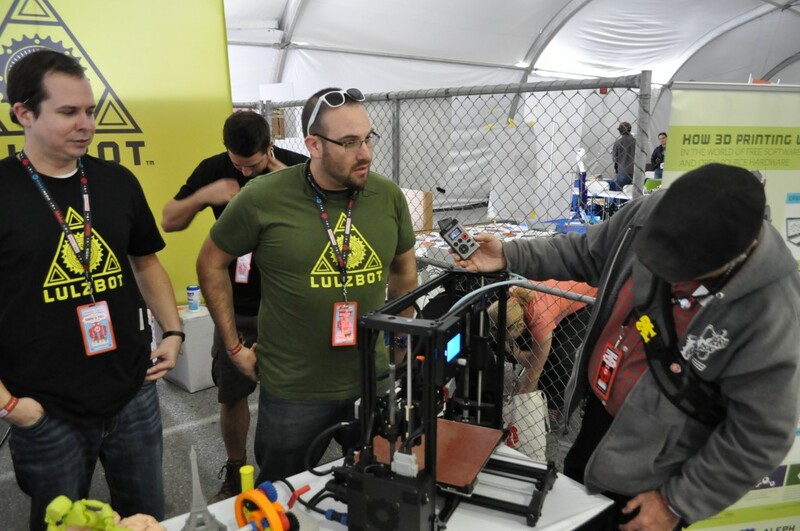 Andy talks with Claudio Donndelinger about the latest from Lulzbot. No more Buddaschnozzle! 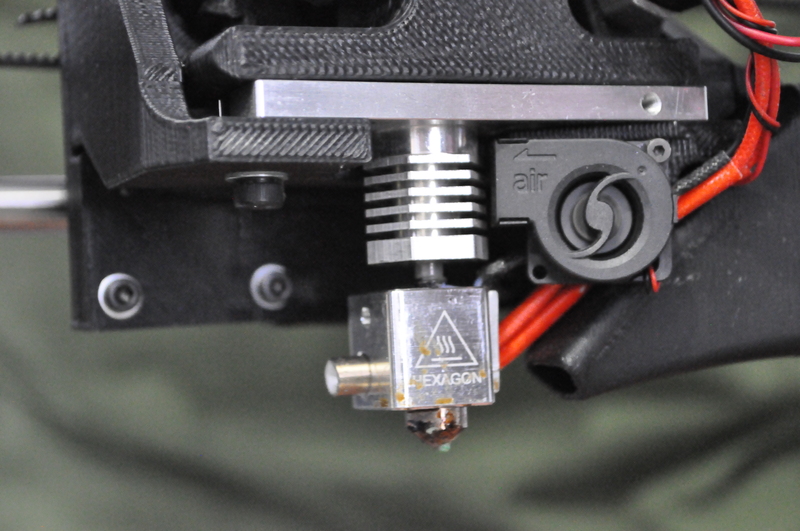 Lulzbots now feature the improved hexagon hot end. 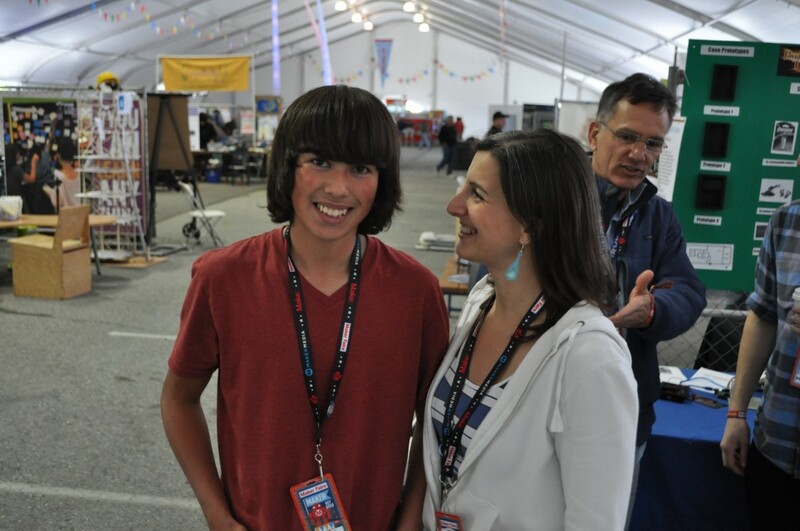 Brandon Climson with his proud teacher. 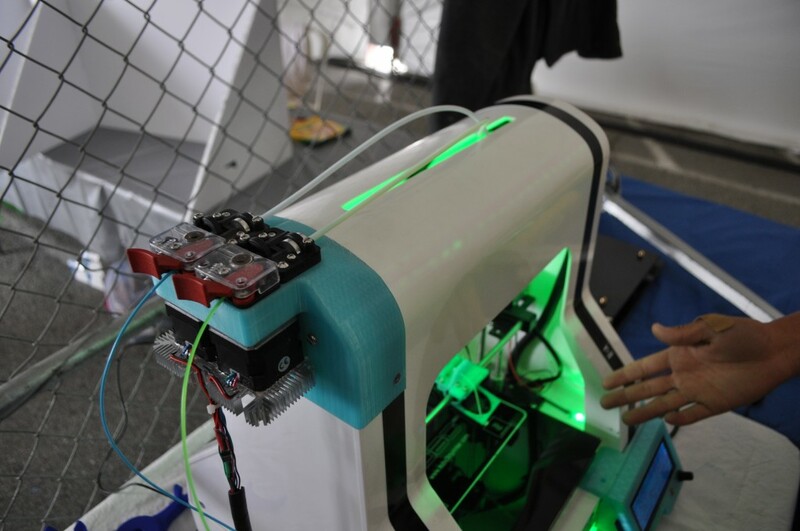 This high school freshman completely customized and upgraded his Robo3d. This is Brandon’s tricked out Robo with dual ezstruders and led lighting. 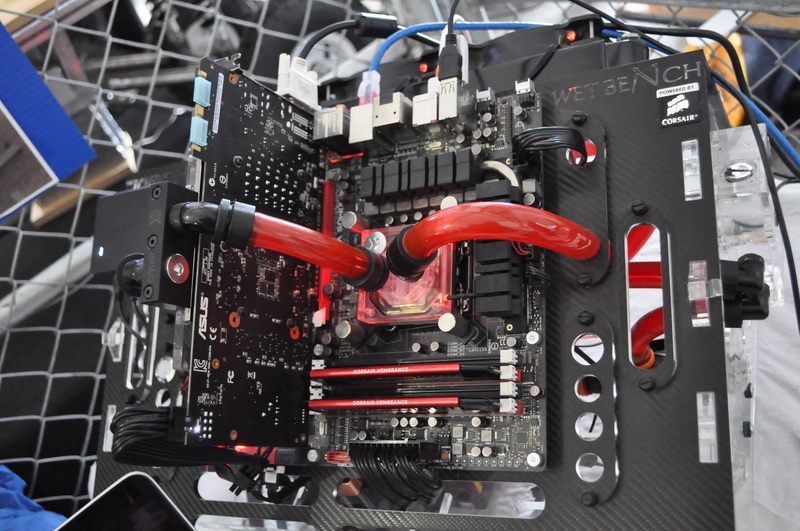 This is Brandon’s liquid cooled computer. This is a young man to watch. 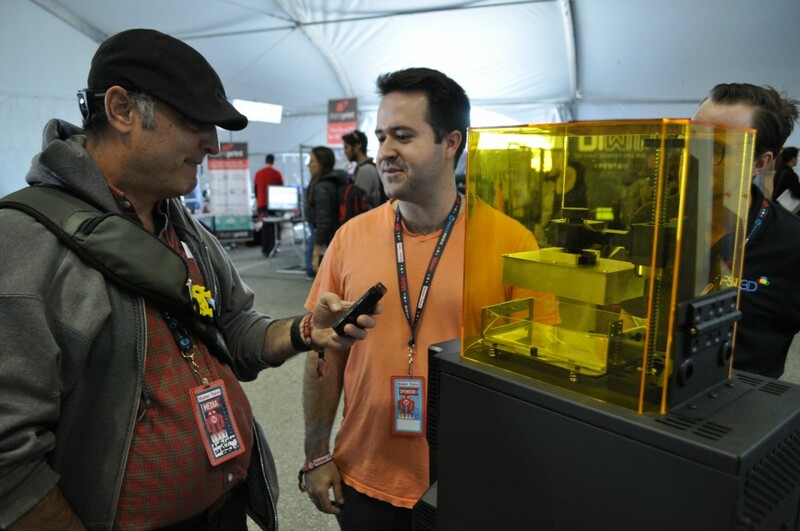 Andrew Boggeri of FSL3D gives Andy the run down on the Phoenix their new super DLP printer. It overcomes the resolution limitations of conventional DLP by automatically moving the projector to 3 different positions per layer. By using an industrial UV projector they are able to achieve 5 second layer cycles at triple the standard resolution. 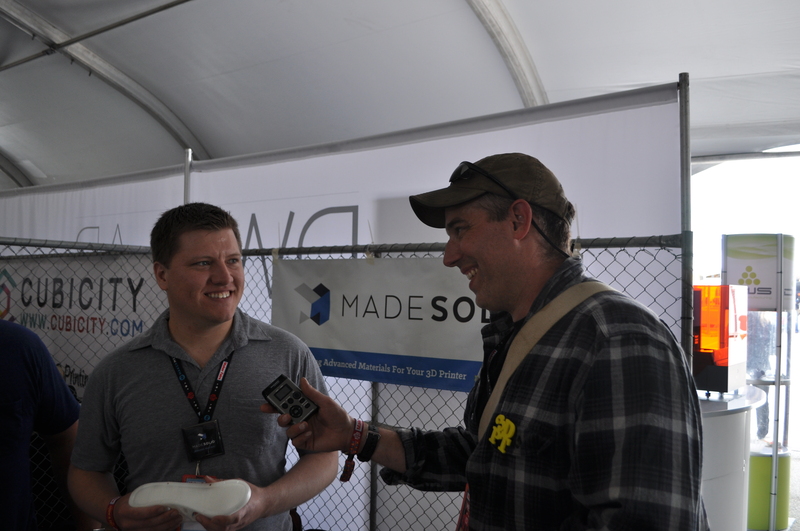 Whitney talking with David Rorex of Made Solid. 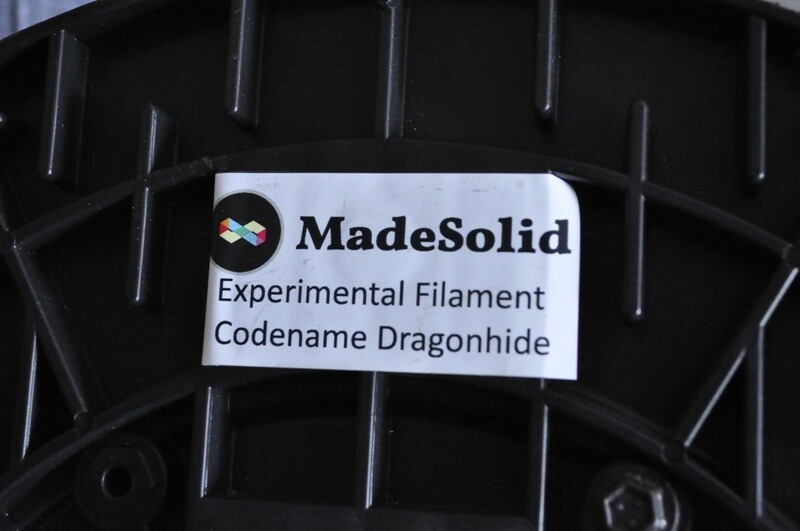 The only company out there making both resin and filament. Made Solid was showing off a Gigabot. 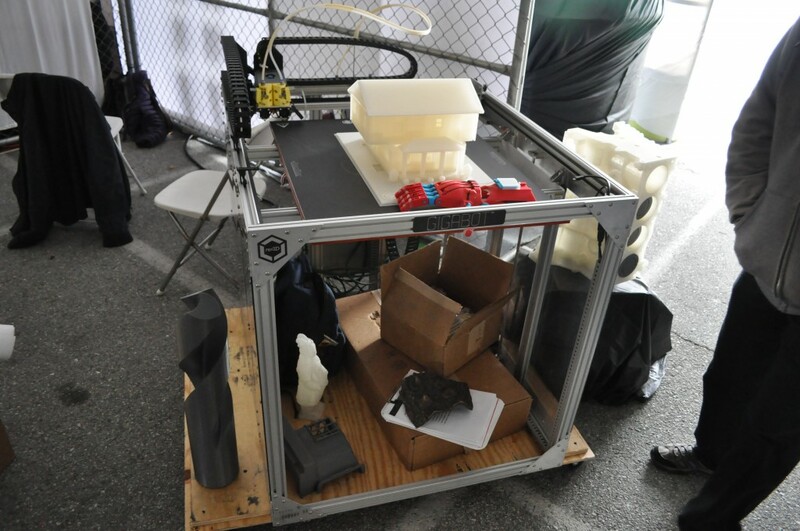 This beast makes my huge printer look small. Look at the drill bit to the left of the machine. 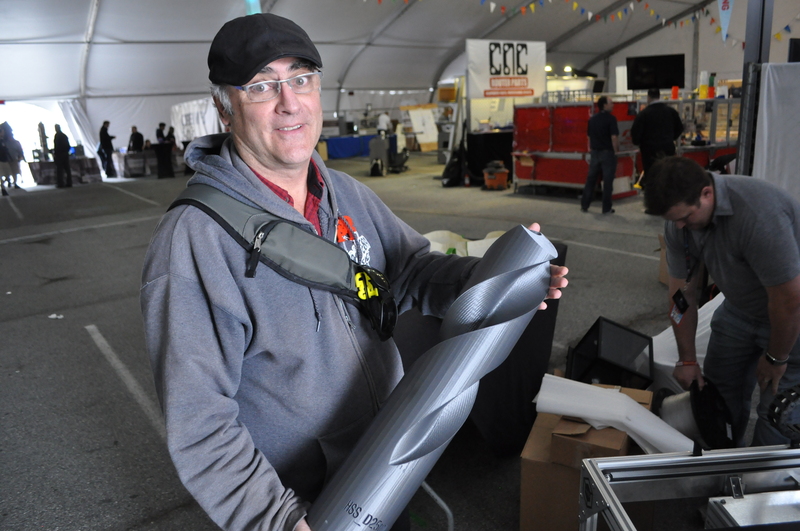 Now look at Andy holding the same drill bit print. Look at the size of that thing. 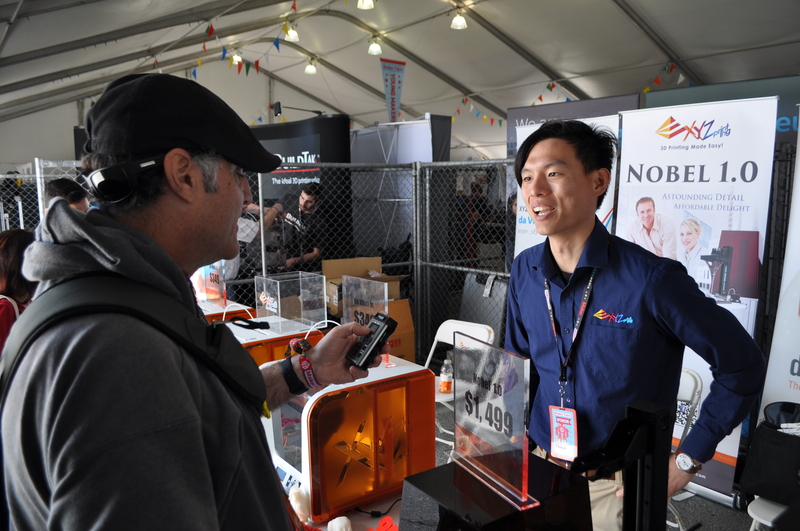 Andy talks with Frank Peng of XYZPrinting. 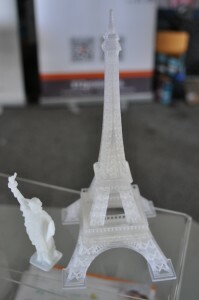 XYZPrinting breaks through the price floor with their new $1500 laser SLA machine. The first prints look great. 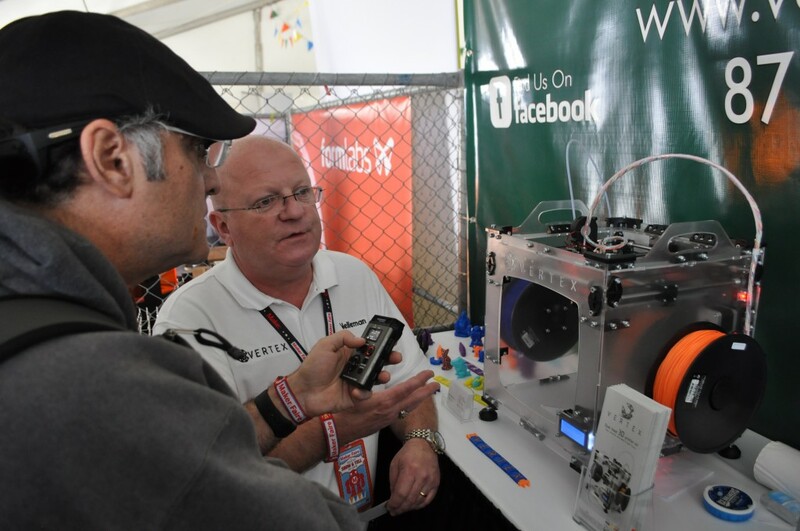 Patrick Degrendele, CEO of Velleman, a large electronic kit manufacturer now making forays into 3dprinting. 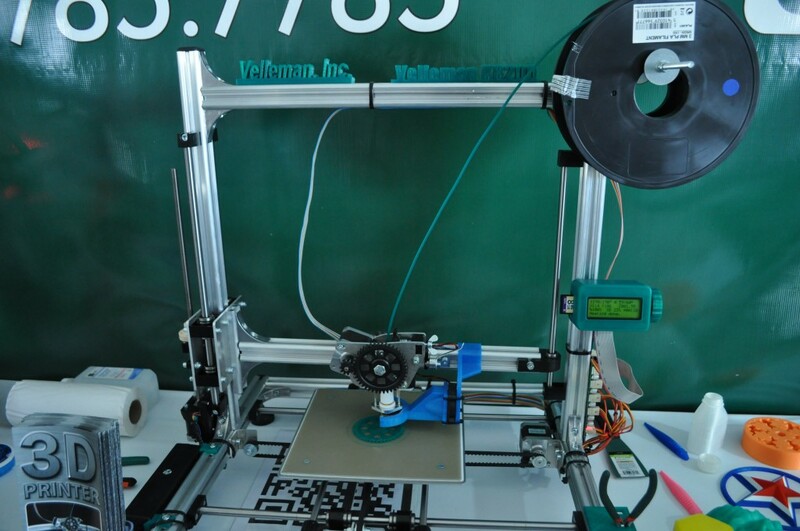 The Velleman K8200 is sturdy and precisely made of aluminum extrusions. 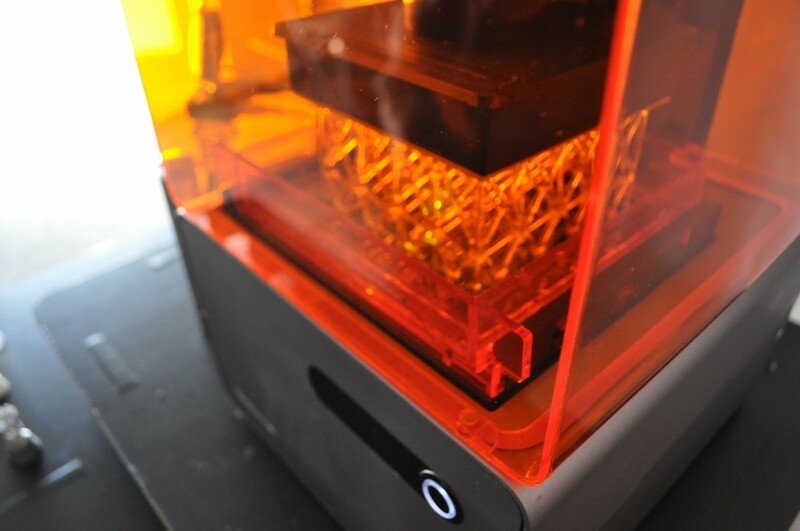 It features an unusual design where the bed moves in both X and Y and the extruder moves only in the Z axis. 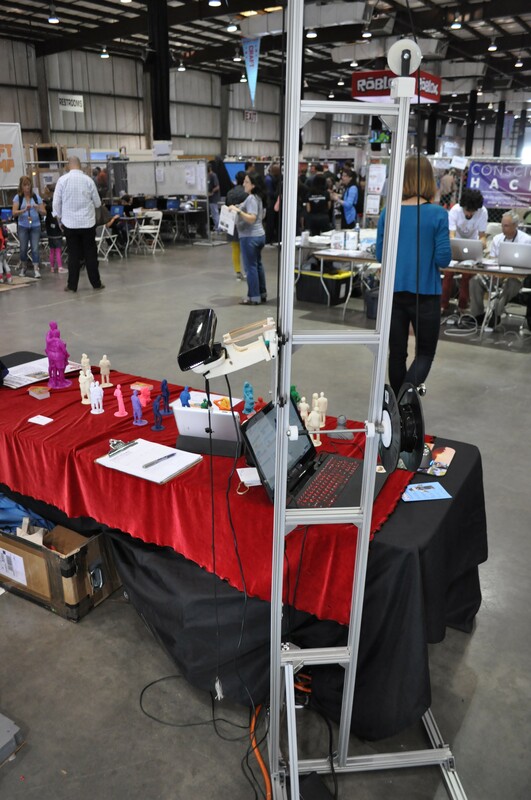 This makes it easy to add all kinds of different print heads. 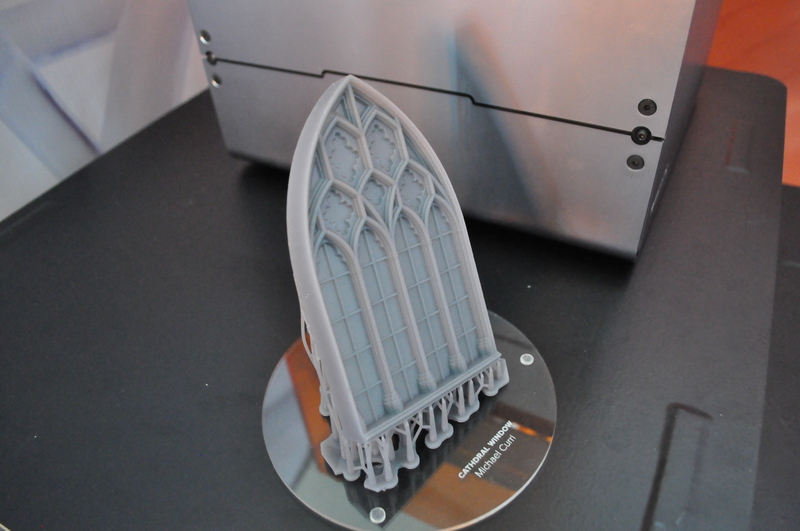 Next week we look at one modded to print Chocolate! 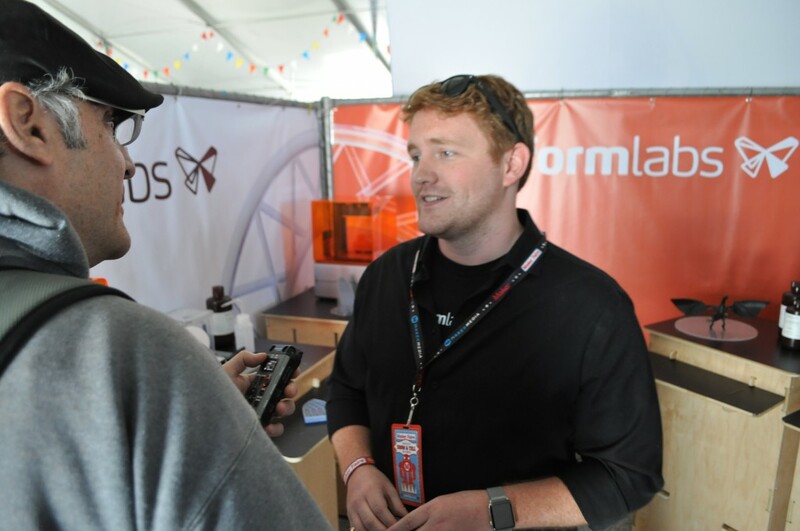 Andy talks with Ford Fraker of Formlabs. Their silicone coated tilt vat seems to do the trick nicely. 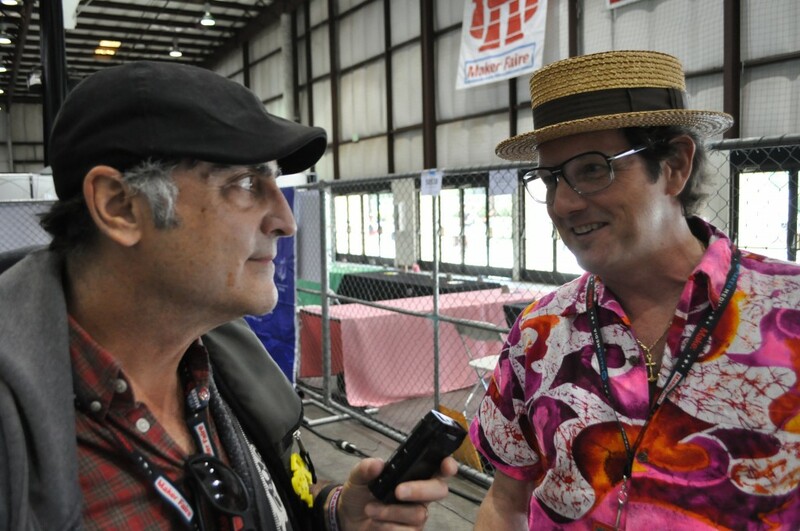 Andy chats with Fred Kahl aka The Great Fredini. Fred is a pioneer of 3d portraiture. 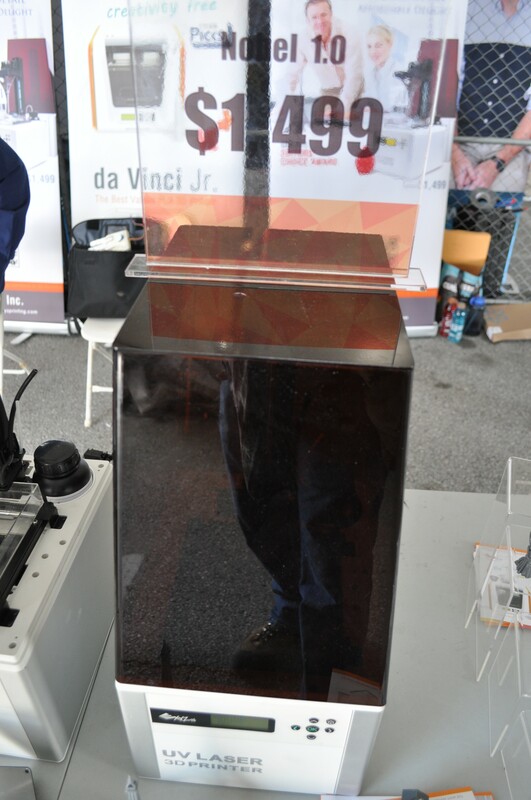 This is Fredini’s home built kinect based full body turntable scanner. 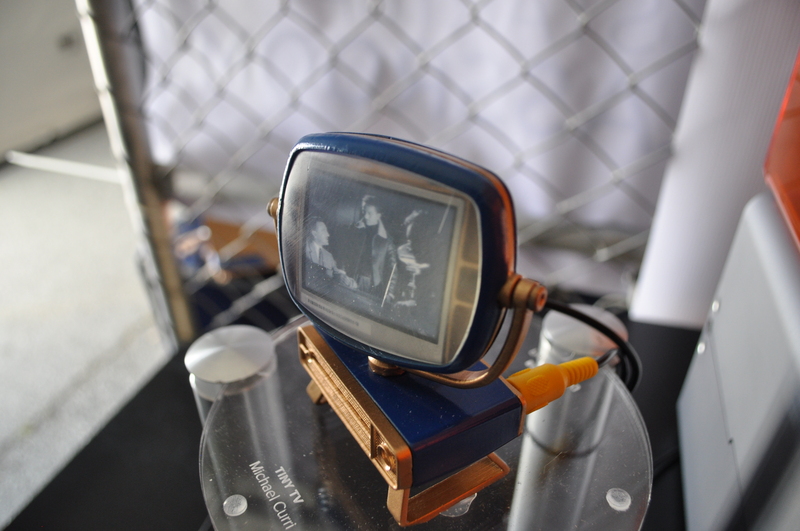 He ran a scanning booth at Coney island for several years. 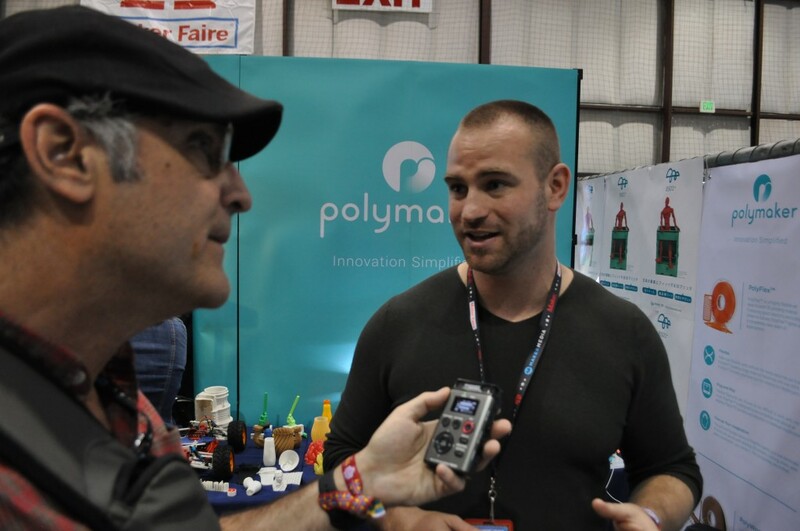 Aaron Jennings from polymaker describes their product line of unique filaments. 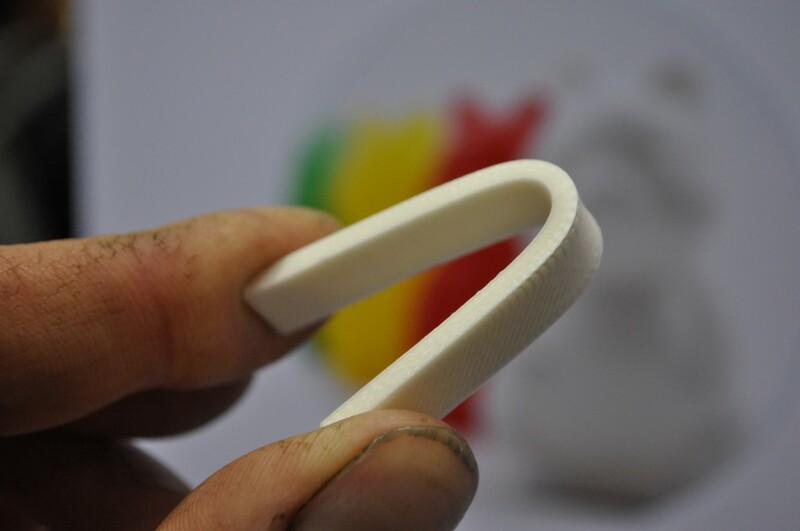 PolyMax, the PLA that’s stronger than ABS. This stuff is tough! I bent this sample back and forth like this and I couldn’t break it. It’s not cheap, but its practically indestructible. 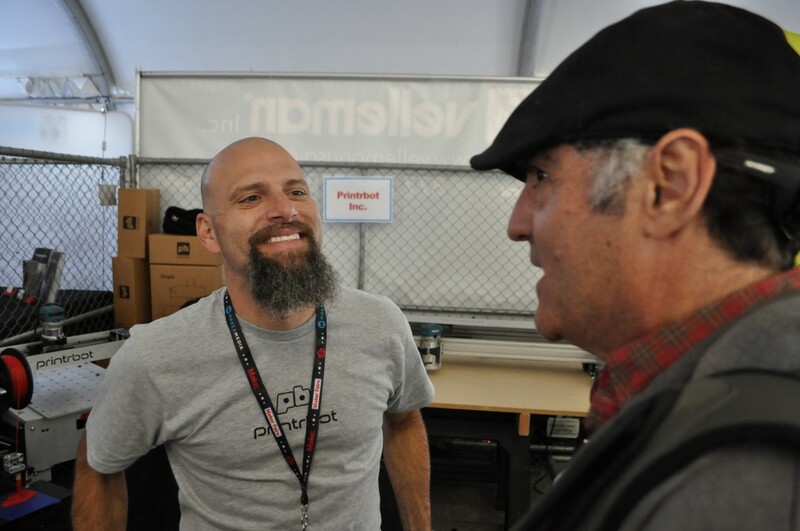 Brook Drumm, the proud daddy of printrbot, always has a smile when he’s describing his new creations. 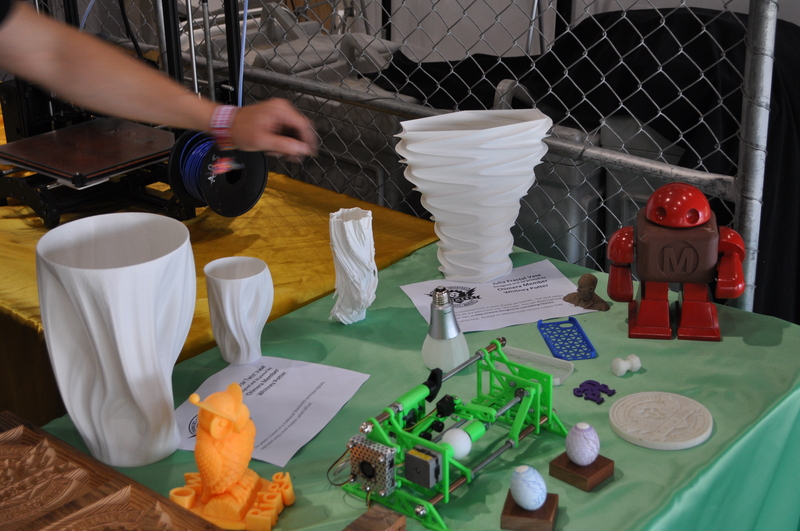 A few of my big prints on display at Chimera Art’s booth.